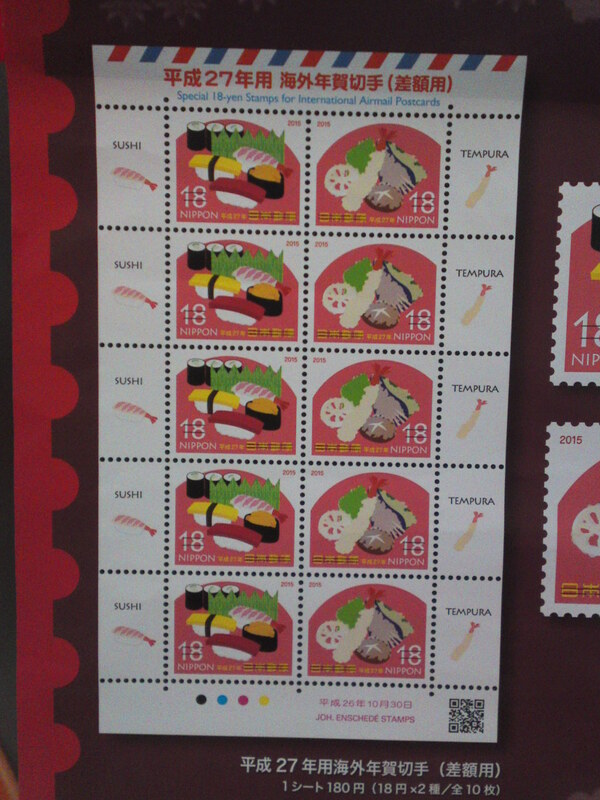 Japanese Gastronomy on stamps: Sushi and Tempura! 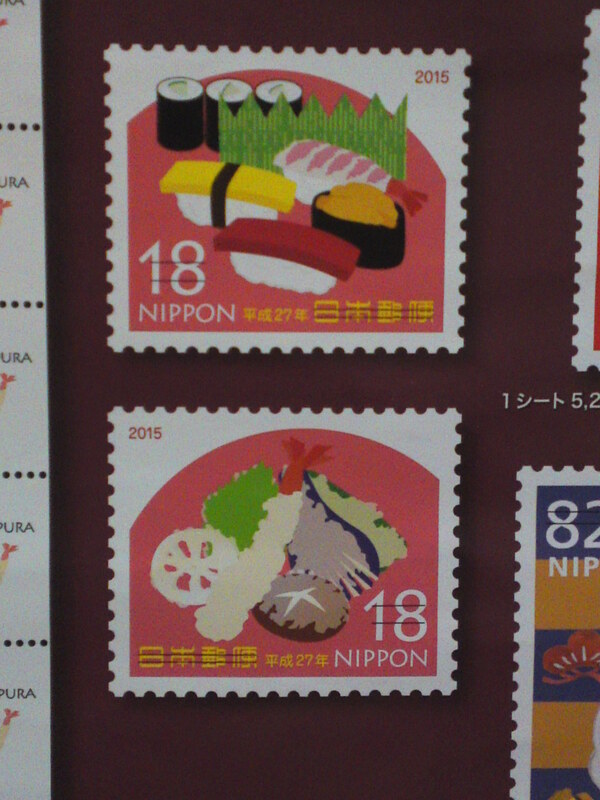 Japanese gastronomy lovers and philatelists rejoice! The Japanese Post is going to issue two very important stamps on October 30th! The stamps will be issued in sheets of ten stamps, priced at 18 yen each. This has become necessary with the consumption tax raise! 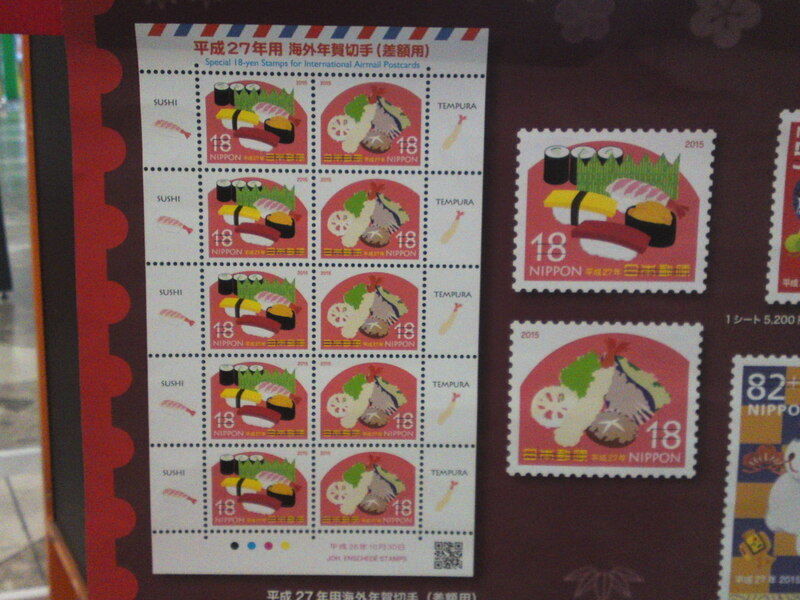 Although the size, format and design of the stamps and min-sheet might be that of commemorative stamps, they are actually a temporary regular stamps! Previous PostSushi: Dinner at Sushi Ko in Shizuoka City (2014 September)!Next PostLocal Shizuoka Fish & Seafood at Parche Fish Market In Shizuoka City: Including “Red mackerel/Bonnetmouth!